Hampshire High School will increase student engagement and achievement, and maintain a positive learning environment through the reinforcement of appropriate behavior, attitudes, and positive activities. 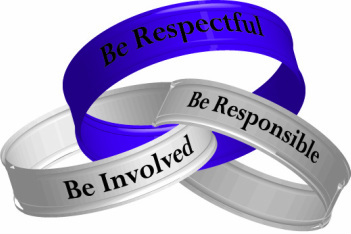 You are respectful when you address teachers courteously and treat your classmates they way you want to be treated. You are respectful when you handle school materials, equipment, and property carefully. You are involved daily when you participate positively and are on task. You are also involved when you participate in extracurricular activities and HHS organizations.